Telax, a leader in hosted contact center technology and solutions, will be showcasing their innovative contact center solutions at ITEXPO 2014. 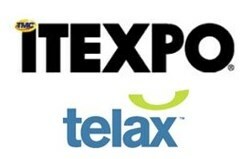 Telax, a leader in hosted contact center technology and solutions, will be showcasing their innovative contact center solutions at ITEXPO 2014, which will be held at Miami Beach Convention Center from January 28-January 31 2014. Telax will be located at the Ontario Pavilion at booth 815, highlighting the advantages of company’s innovative hosted contact center solutions combined with Telax’s human capital strategy. This complete approach which focuses on helping clients implement and manage customer service operations, enables clients establish a strong competitive advantage by increasing overall customer satisfaction ratings and enhancing customer loyalty. Telax will be showcasing its hosted contact center solutions and some of the latest feature including the new advanced dashboard, a new agent scoring and coaching module and the latest native work force management system (WFM 2.0, the only workforce management system native to a cloud-based call center solution) that provide contact center managers with valuable capabilities to drive overall contact center performance. Telax’s advance dashboard, Coach and WFM 2.0 system produce insightful analytics and critical intelligence that will enable managers to effectively schedule, coach and measure their team’s performance to achieve superior results. “Peter Drucker famously stated that ‘the purpose of a business is to create a customer’, we believe that the purpose of the contact center is to make those customers happy and we provide the software and expertise for our clients to accomplish their objectives” concludes Mario Perez, Founder & President, Telax. For the latest ITEXPO news, updates and information follow the event on Twitter at #ITEXPO.